See Executive Chef Blake Seymour at this years Ballina Food & Wine Festival. Blake has previously won the best plate competition and will be delivering a sensational plate to win back the title! 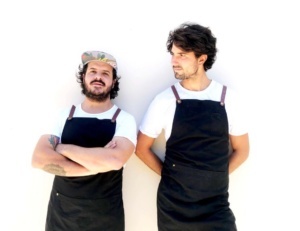 You can catch Blake on the cooking stage with Gavin Hughes of Byron at Byron. 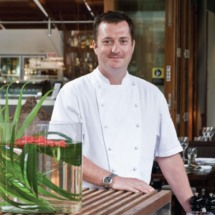 One of Australia and New Zealand’s most respected and instantly recognised chefs, Sean Connolly’s wealth of experience spans the globe. 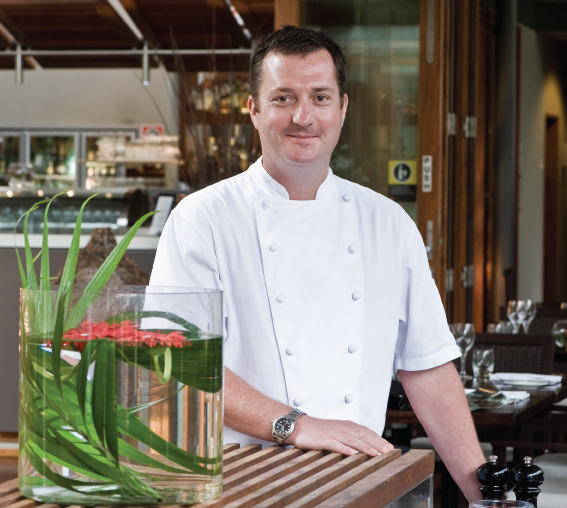 Since making the move to Sydney from his native England in 1988, Sean’s star has continued to rise. Starting with his position as executive chef at Astral restaurant in Sydney’s Star Casino, Sean keeps notching up formidable achievements. 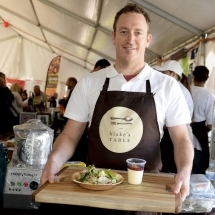 In 2009, Sean hosted a 13 part SBS television series called My Family Feast. This was a celebration of Australia’s love affair with multicultural dining and no-fuss, family oriented entertaining. The series won an award for Best TV Show at the 2010 Australian Food Media Awards, plus the Best TV Series About Food and Wine Culture award at the World TV Food & Wine Festival, held in Paris. Sean authored a companion cookbook to the series, also called My Family Feast, which trumped international stars like Nigella Lawson to win Best Celebrity Chef Cook Book In The World at the 2011 Paris Book Fair. In 2012, Sean opened The Morrison, a sophisticated New York-style restaurant and oyster bar in the heart of the Sydney CBD. In 2015 Sean expanded his business interests into South Australia, opening the aptly named Sean’s Kitchen in the Adelaide casino. His latest venture, The Balcony in Byron Bay, opened it’s doors early in 2016 and has already proven to be a significant player, impressing both discerning local diners and Byron Bay’s constant stream of domestic and international visitors. 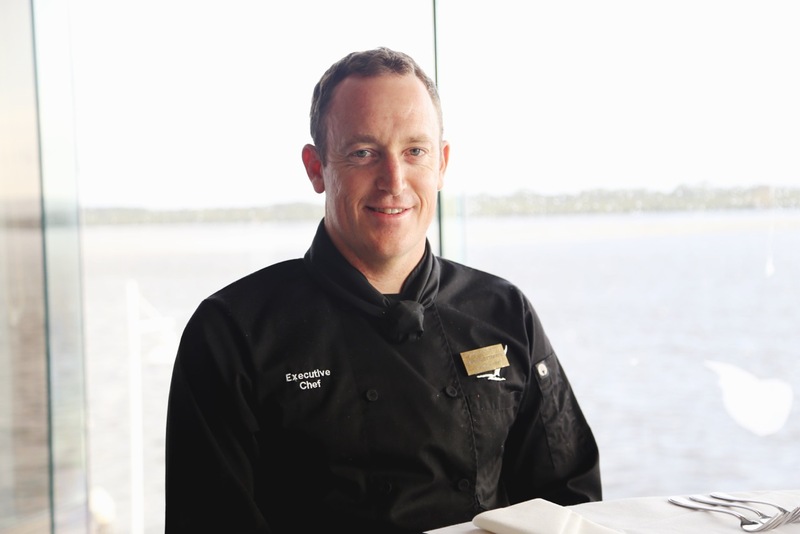 Scottish born Gavin Hughes is Head Chef at The Byron at Byron Resort and Spa, a position he has held since the resort opened twelve years ago. Gavin has always been a true advocate of all things local, ensuring The Restaurant adopts a paddock-to-plate philosophy and uses regional producers wherever possible. 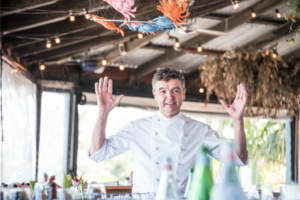 The Byron at Byron Restaurant is known for its light Mediterranean fare, offering resort guests and Byron Bay residents, seasonal menus across breakfast, lunch and dinner. Raised in Scotland, Hughes has spent time at Michelin-starred Inverlochy Castle, Devonshire Gardens and Airds Hotel. 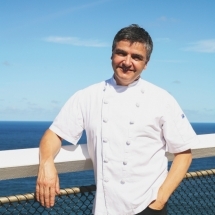 Following his move to Australia, Gavin worked at Aqua Luna, Bather’s Pavilion and Aqua Dining in Sydney before relocating with his family to Byron Bay. 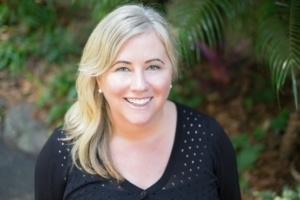 He now resides in Lennox Head with his wife and two young sons. Gavin Hughes has resided in the northern rivers for 16 years. A keen photographer, cyclist and of course cook utilising all things local working closely with our vibrant community markets and small farmers. Taste Byron Bay, Founder Terase Davidson, is also affectionally known as “the girl that makes that Salted Caramel Sauce”. The Taste Byron Bay, handcrafted Salted Caramel Sauce is a celebration of local ingredients and has completely taken off in recent months. 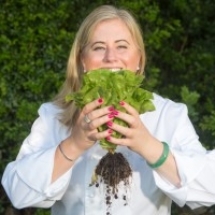 Terase will be one of our local chefs featured on the Festivals Cooking Demo Stage. 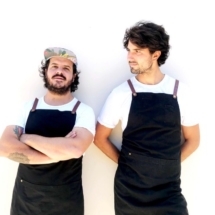 Franco and Andres are two Peruvian chefs looking to promote their food in Australia. They have this ongoing project for almost two years and run a market stall at Ballina Farmer’s Market every Sunday besides doing pop ups and other festivals around the area with a future dream of a restaurant. In this case they will showcase one of Peru’s signature dish: ceviche made with fresh local fish and a lemon, salt, chili and coriander dressing. We are super excited to announce DIESEL (Mark Lizotte) as our headline act. 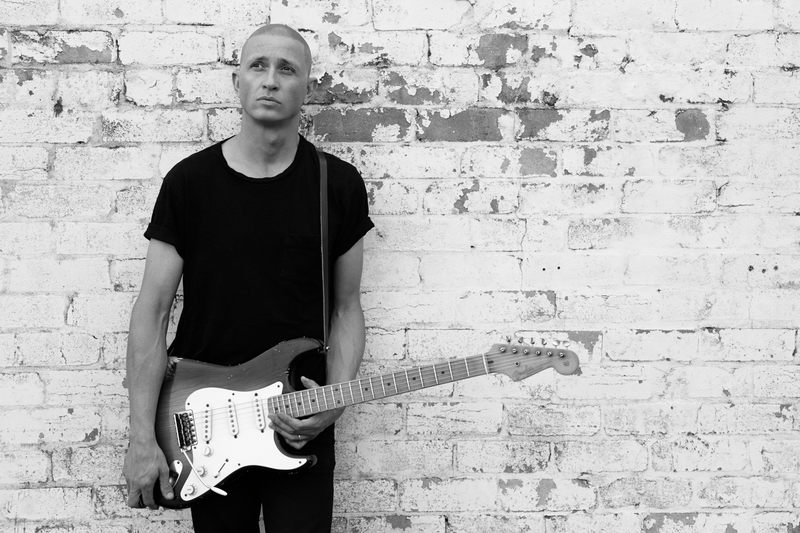 With over 35 singles, 16 albums and 6 ARIA awards, DIESEL is a journeyman of music. Distinctive guitar playing and vocals, Diesel is one of Australia’s favourite artists who has been making music spanning 30 years and still going strong. 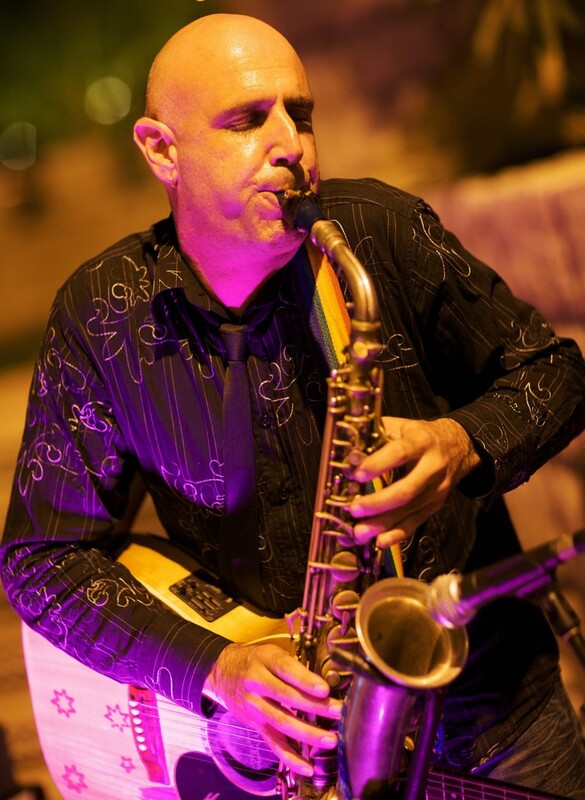 Born in Fall River Massachusetts, the youngest of seven from a sax playing electronics technician father and a mother in nursing, Mark Lizotte aka DIESEL grew up in Australia and in the U.S. He formed the band ‘Johnny Diesel & The Injectors’ in 1986 from remnants of a previous band before embarking on a solo career in 1991. With blues music in his DNA, an influence largely from his Father’s record collection, DIESEL has blended styles to come up with a truly unique sound, punctuated with his distinct guitar playing and vocals. Jed has developed a unique show that involves acoustic guitar, electric guitar and sax. His multi-instrumentation allows a variety of sounds and styles. This, coupled with his ability to get audiences to sing along is Jed’s recipe for a great night. Whether it’s fully acoustic with a stomp box, or with quality backing tracks for a full band sound, he always leaves audiences wanting more. Jed’s history in performing includes rock and roll bands, blues bands, country bands, some of Sydney’s premier cover bands and now a long- established solo act. With this experience under his belt, you can expect Jed to deliver professionalism both on and off the stage, and a show to be remembered. From rich heart-felt ballads to rock, pop and the blues, from John Denver to The Black Keys, Jason Mraz to INXS, Neil Diamond to Kings of Leon, Jed will play your song! 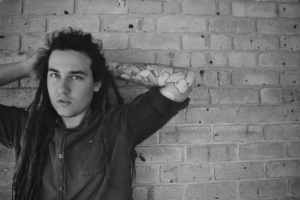 In the past few years Blake Tailor has come into his sound, developing his skills both as a performer and as a talented song writer. He is currently working on his first EP set to be a raw and emotional insight into Blake’s life. Blake takes inspiration from his family and the work he does with adults with disabilities as a Music facilitator at Studio Artes. His songs come from personal struggles and triumphs, leaving you breathless at every live show. Growing up in a small community in the Hawkesbury region Blake spent much of his teenage years learning about music, taking inspiration form the local blues and roots scene. With a large family Blake has never had a shortage of support for his music, it has never been a question of what Blake would do when he became an adult. Blake has been performing in the cover scene for four years, with close to 500 gigs under his belt in venues across New South Wales. Blake Tailor is a talented and confident performer, always leaving a show with people commenting on his ability to touch them with his music. Although Blake has not been performing his original songs for long he has supported the likes of Daryl Braithwaite, Russell Morris, Karise Eden and The ChoirBoys. Blake is now taking his time to move out of the cover scene with an aim to have his own music to be heard throughout Australia.